Learn everything you need to know about your 36 month old toddler. Track important developments and milestones such as talking, walking, growth, memory & more. Your child is starting to understand that she can take care of her own belongings and put them away when she's finished using them. Of course you'll still have to facilitate cleanup time and offer her plenty of gentle reminders to put her books on the shelf, crayons in the drawer, and dirty clothes in the hamper, but eventually she'll get it. If your tot is reluctant to pick up her messes, put on a timer for just a couple of minutes and play some fun music -- then make a game out of it with the two of you racing to see if you can get everything put away. You should continue to encourage your child to become a creative thinker. This means you allow your tot to express herself to you and don't belittle her opinions. Ask her plenty of open-ended questions and really listen to what your kiddo has to say. If she gives you a wrong answer or needs help with an answer, it's a great time to gently steer her in the right direction. Getting your child involved in the arts -- whether it's helping you bake, making a fantastic finger painting, or participating in a preschool music or dance class -- helps develop creative thinking. Reading books is always a great way to boost your toddler's way of looking at the world too. 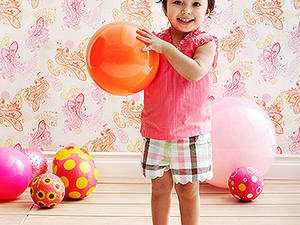 Multi-sensory and pretend activities can be loads of fun for your kiddo. Imaginative play is ideal for cultivating creative thinkers. 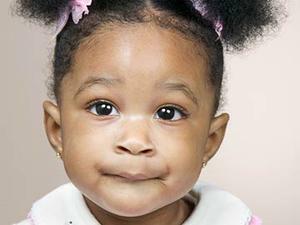 If your child has started preschool or day care, you might notice she's coming down with more colds than usual. She's being exposed to new germs, and viruses spread quickly through a classroom when little kids cough or sneeze into the air or on their hands and touch everything around them. 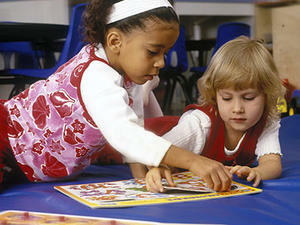 Toys, tables, and friends are all sources of germs. Yikes! Where there are stuffy noses, there are often ear infections. If your child gets chronic middle ear infections (otitis media), her doctor will likely treat them with antibiotics -- good for curing bacterial ear infections but not viral (which heal with time). If the infections are persistently difficult to treat or your child begins to suffer hearing loss or delayed speech, the pediatrician might recommend ear tube surgery, a common, generally outpatient procedure. On the list of things you can do to help your kiddo avoid future infections are keeping her away from secondhand tobacco smoke, controlling any allergies and/or reflux problems, preventing respiratory infections (which lead to ear infections) by using good hygiene, and asking the doctor whether your tot's adenoids could be partially responsible for the ear infections. Fortunately, most kids outgrow ear infections as the inner ear structure changes. Whew! Sometimes a mom just needs to put down the skillet, leave the laundry in the hamper, kiss her little one goodnight, and enjoy a night away from home! Think a night away from home is selfish and harmful to your child? Quite the opposite, it's good for your kiddo to have someone care for her besides you once in a while. If she's home with a daddy who doesn't normally do the bulk of child care, it's an opportunity for the two to have fun together (and maybe even appreciate all you do a bit more). If you're looking for something to do, why not organize a moms' night out for you and your friends? It's not hard and doesn't need much planning -- just someone to take the initiative and get the ball rolling. There are plenty of options for get-togethers: game night (cards or board games are good fun); dinner out with friends, either at a restaurant or as a potluck at someone's home; taking a class together; going to a pottery studio; or meeting at the spa for massages or manis and pedis. Ah! The important thing is that you take the time for you -- and when you're rejuvenated and in good spirits, your whole family will benefit! 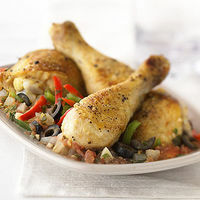 Get must-have recipes for healthy dinner fixes.